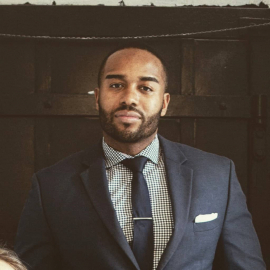 An award-winning marketing professional and media representation advocate, Frederick has over 10 years of marketing experience, and is a Forbes Under 30 list maker for Marketing and Advertising. The sole creator of the largest GoFundMe campaign in history, the #BlackPantherChallenge, which ultimately raised over $950K and allowed more than 75,000 children worldwide to see ‘Black Panther.’ Frederick is the winner of the 2018 Comic-Con Humanitarian of the Year award and a member of the 2018 Root 100″ list of most influential African Americans. He has also written about marketing, race, and representation for the Huffington Post, USA Today, and NowThisNews.